Although there are many places to explore and discover on Vancouver Island, none is more widely known than our Province’s capital, Victoria. 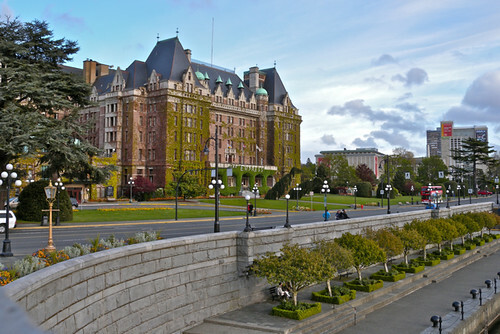 Continuing the Top Five series, here are some of my favourite things about traveling to Victoria. As usual, I list a few more than five things but I’ve limited the content to five categories overall. 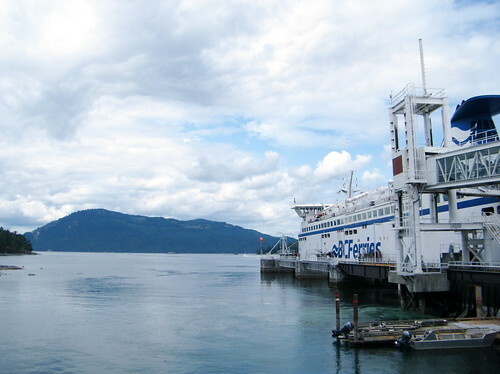 Since Victoria is located at the Southern tip of Vancouver Island the most common way to get there is via BC Ferries, leaving from Tsawwassen. The crossing to Swartz Bay is about 1 hour and 35 minutes, arriving near Sidney and driving through Saanichton before you reach Victoria. On early morning or late-night trips John and I have taken to riding in the SeaWest Lounge (available on the Spirit & Coastal class vessels). For $10 you get access to this peaceful lounge complete with workstations, recliners, and all the coffee, juice, tea, muffins, croissants, fruit and other snacks available. It’s a nice quiet way to travel while still having a good view from the panoramic windows. 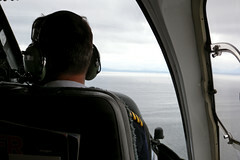 I also discovered the convenience and ease of taking a float plane and even a helicopter to Victoria. 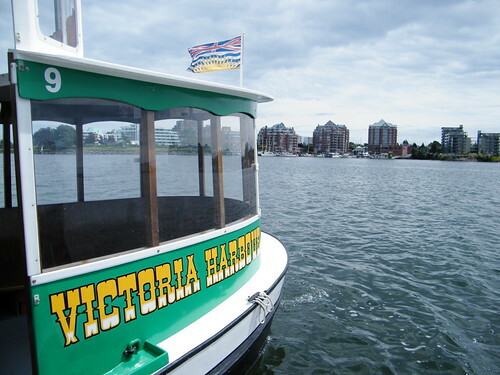 In about 40 minutes you can go directly from downtown Vancouver to Victoria’s Inner Harbour with Westcoast Air or Harbour Air. 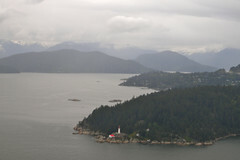 Saltspring Air will take your from downtown Vancouver to the Victoria airport at Patricia Bay as well. From downtown Vancouver I loved taking Helijet, which lands near the cruise ship terminal in Victoria. 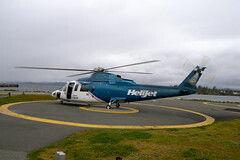 The cost of the 35-minute helicopter ride is $149 however going from Vancouver to Tsawwassen and across on the Ferry, then driving down to Victoria can take anywhere from 3-8 hours depending on the traffic and boat capacity. Then the fare is about $46 for the vehicle and $14 for adults in the car. Sometimes $149 for a 35 minute crossing can be worth it (if you don’t need a car when you arrive), especially for business travel. Whatever you choose, the views will still be spectacular which is why “Getting There” is on of my favourite things about traveling to Victoria. When you’re in Victoria the Royal BC Museum is the place where you can go alone, go with the kids, or go several times a year and never get bored. I might be slightly biased since I love history but many I’ve traveled with say it’s a highlight of their time in Victoria as well. 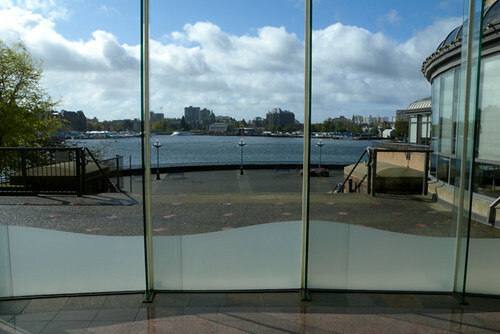 There’s an IMAX theatre and several floors of exhibits including the First Peoples Gallery, Modern History Gallery, and the Natural History Gallery. They also host traveling at certain points throughout the year such as the Titanic or Tutankhamen exhibits. A one-time visit is $15 and an annual membership for adults is $59. Annual family passes are $99, available for up to 5 people. I go every time I’m in the city and my niece always requests it when we visit as well. I’ve been doing the Discover the Past walking tour for several years now and with about 8 different routes around the city, I always learn something new. If you’re curious about the paranormal the ghost stories shared by hosts such as John Adams (historian, author). If ghost stories aren’t your thing, the hour-long tour still offers plenty of local history. They also operate walking tours of Chinatown – the oldest in Canada. Victoria offers far more than Smitty’s pancakes and nachos at the Sticky Wicket. Last year I discovered some of the unique local eateries, fine dining establishments, and brew-pubs that make a visit to Victoria a trip for your tastebuds as well. 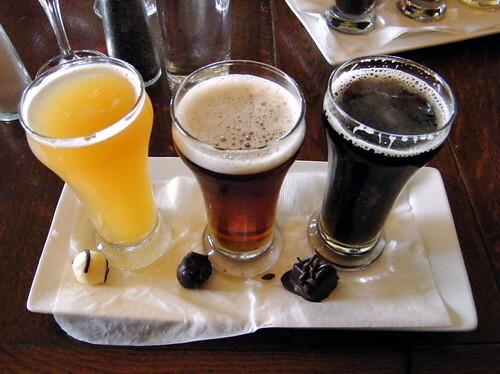 One of my favourite stops is Spinnakers – a brew pub that makes their own beer and delicious chocolates. 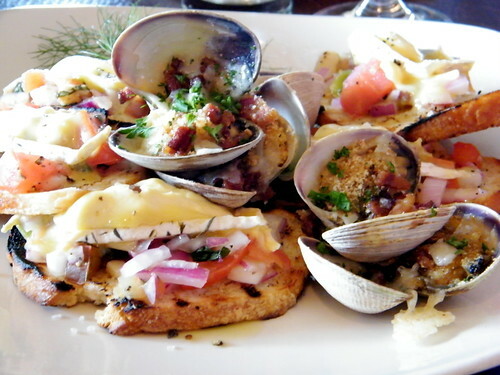 With a focus on local and sustainable ingredient choices they serve up the freshest culinary creations. Then there’s also The Swans Hotel & Brewpub for more local craft beer and then Clive’s where mixology excels and bar manager Shawn Soole whips up classic and original libations while also re-creating old drink recipes by famous bartenders from around the world with the Dead Bartender’s Society. 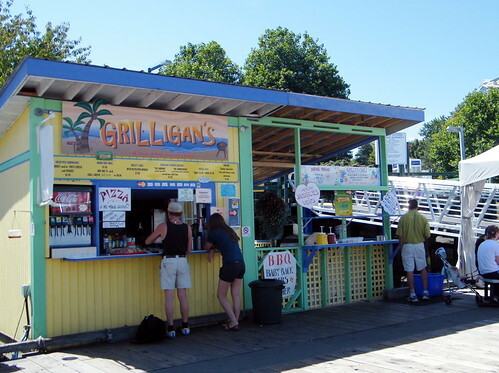 Victoria has amazingly fresh seafood that you can pick up at Fisherman’s Wharf, enjoy harbour-side at Red Fish Blue Fish, or in any one of its fine dining establishments. Finally, when it comes to Victoria I rarely make a day-trip. There’s so much to see, explore, taste, and experience that it’s always at the very least a weekend excursion. As such, I’ve stayed in my fair share of hotels in the region and none more often than the Delta Ocean Pointe. 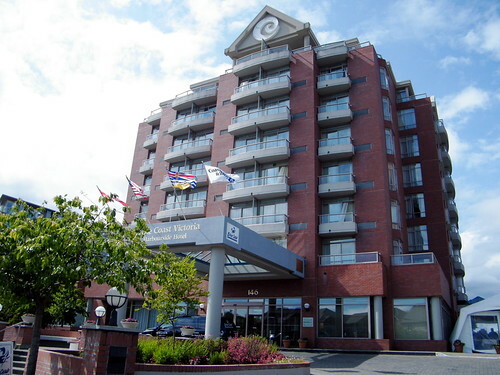 Since 2003 my sister, mother, niece and I have done an annual girls weekend in Victoria and the Ocean Pointe was our favourite place to stay each year. 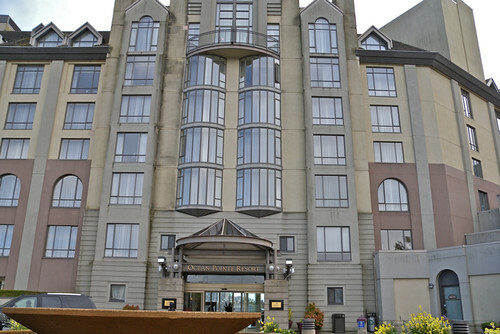 It has the best view of the downtown core and the parliament buildings, the water taxi cruises right up to the front patio, there’s a pool, spa, and the staff are always incredibly friendly. My niece used to get a welcome pack with a colouring book, sunglasses and other goodies and they used to do “Story Time” in the lobby in the evening for kids (complete with milk and cookies). I have also stayed at and enjoyed the Coast Harbourside. It’s a little more removed from downtown, just over on Laurel Point, but it is connected to a lovely seawall walking path and is nearby Fisherman’s Wharf. 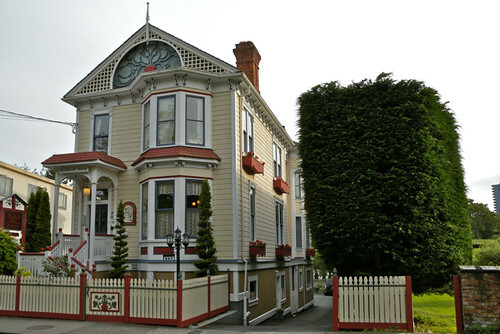 John and I recently had our first-ever B&B experience in Victoria and it was absolutely lovely. We were at Humboldt House over near St Ann’s Academy which was charming, friendly, and if I think really hard I can still smell the freshly-baked croissants that were delivered to our door. These are just a few of my favourite ways to get to and stay in Victoria along with places to visit, eat and be entertained. I’m hoping to continue my Top Five for 2010 including various other regions on the South Coast, in the Fraser Valley, on the Island and anywhere else you can get to for the weekend from Vancouver. Should you have any destination suggestions, please feel free to contact me or leave a note in the comments below. Love the pool at the Delta also and yes VERY friendly staff. Getting around downtown Victoria by foot is super easy and the hop on hop off buses offer a good option for getting around to some other areas as well.